Last week, Motorola announced a separate Golf edition of the MOTOACTV fitness tracker, due to start shipping the first week of April. The good news is that as of today, existing non-Golf MOTOACTVs are receiving the same software through an upgrade with version 6.5 6.6, available via MOTOCAST. Update 4/2/12: Motorola pulled the 6.5 update and released 6.6 a few days later (today) instead. I am willing to bet 6.5 had some last-minute bugs. Important note: Owners of the 8GB version will want to perform the update as soon as possible because it will be only offered for free until April 16th. After that, it's going to cost you... something, we're not sure how much yet. Considering the 8GB edition of the regular MOTOACTV is $50 cheaper than both the 16GB and the Golf edition, I'm surprised Motorola is even offering the update for free at all. Note: As per Motorola, "Current MOTOACTV owners of 8 or 16GB devices will download course maps by state/country manually over Wi-Fi before before using the golf capabilities." 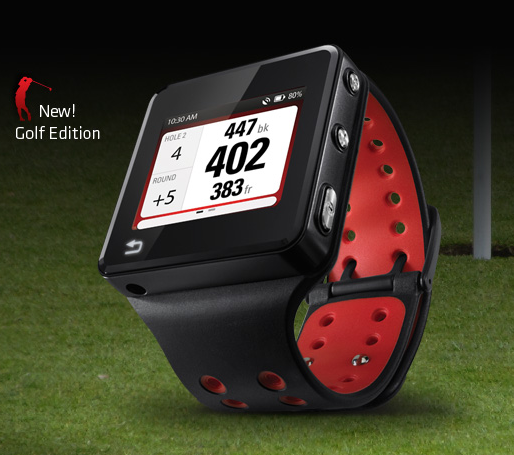 Play over 20,000 courses globally and see your distance to the front, center and back of green, as well as distance to the hazards-all from your wrist. No more fumbling with laser finders, phone apps, or rummaging through your bag. It also contains the PAR information for all your favorite courses. 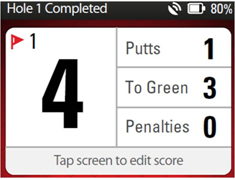 MOTOACTV keeps track of your scorecards, clubs and key stats like, the number of putts taken and even the greens in regulation that you hit. You can even customize your virtual golf bag with the clubs that you own and the distances that you hit each one. 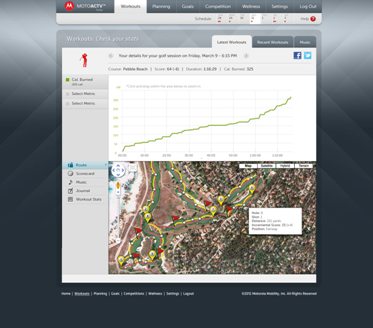 MOTOACTV syncs your rounds wirelessly @ MOTOACTV.com where you get an unparalleled virtual representation of your round using a satellite view of the course. Move your mouse over the arc of the ball flight and pull up details of the shot you played. 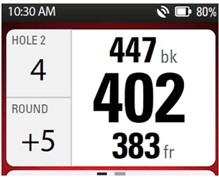 You can also keep every scorecard for reference, and similar to other MOTOACTV workouts you can share your rounds with friends. Plus, see how the pros like Bubba Watson play on select courses before you play them yourself. 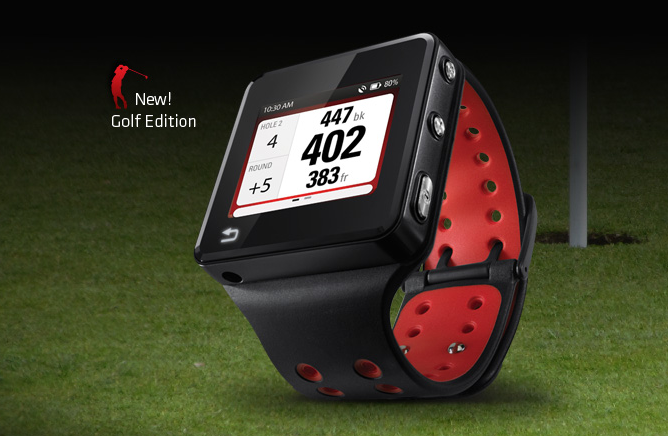 You will also be able to see your biometrics during the round, such as distance walked and calories burned. To update your device, just hook it up via USB and run MOTOCAST. If the update doesn't start, you can go to DEVICE > Check for Device Upgrade (in MOTOCAST USB).